Vidyasahayak Bharti Std 6 To 8 Application Form Sathe Jodava Na Adhar Nu List 2018-19 | Document List Of Vidhyasahayak Bharti Form 2018-19. Vidyasahayak Bharti Form Will Be Available on 18th June 2018. So The Candidates Who want to apply online in this vidyasahayak recruitment 2018 can collect their documents and be ready at the starting date of online application form. 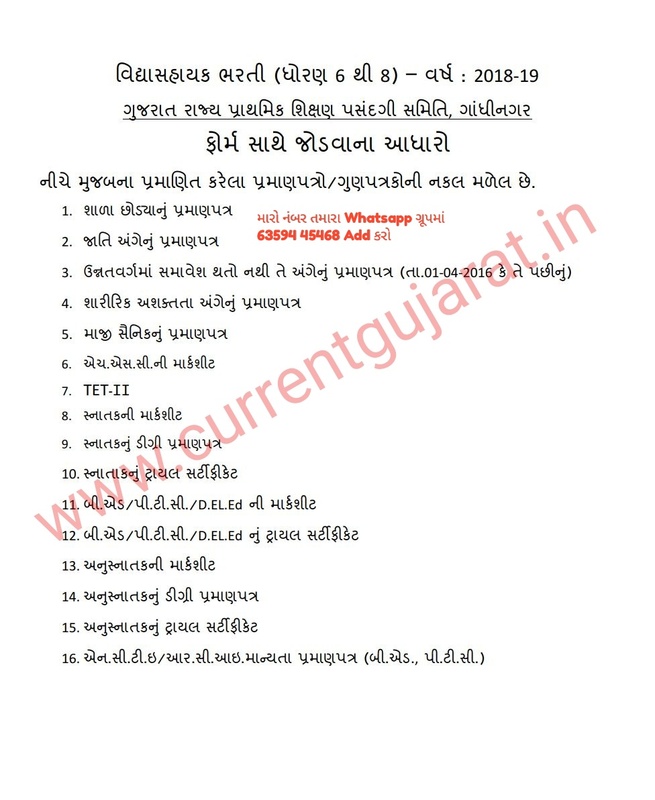 Gujarat Vidhyasahayak Bharti 2018 online application is available at www.vidyasahayakgujarat.org for Vidyasahayak & Primary Teacher Posts. Please read entire details about Gujarat Vidyasahayak Recruitment 2018 and know how to apply for this job. • Vidyasahayak Bharti Std 6 To 8 Merit Calculator Available Now | Count Your Perfect Merit With Calculator. • Vidyasahayak Bharti Std 6 To 8 Application Form Sathe Jodava Na Adhar Nu List 2018-19 | Document List Of Vidhyasahayak Bharti Form 2018-19.